The House Judiciary Committee voted 19-11 late Wednesday for the Concealed Carry Reciprocity Act of 2017. This bill would amend the federal criminal code to allow the concealed carry of guns across state lines for all concealed carry permit holders. 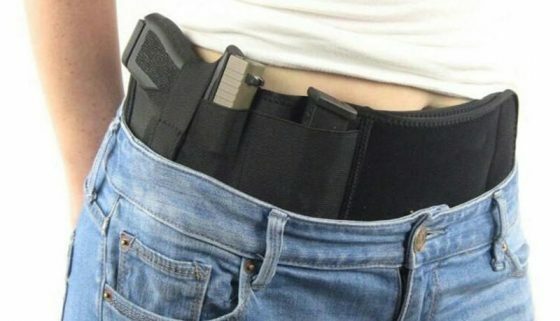 Should this bill become a law, states will not be able to impose their individual requirements for a concealed carry license on those who have a license to conceal in a different state. The left is already terrified. Republicans rejected Democratic amendments that would ban violent offenders from qualifying under the law (because violent offenders cannot obtain a concealed carry permit anyway), as well as a change that would have prevented forum shopping; which means a New York resident barred from obtaining a concealed carry permit could instead send away for one from somewhere else. The bill, which has more than 200 co-sponsors, almost all Republicans, will now head to the floor of the 435-member House. A similar bill, with 38 Republican co-sponsors, is pending before the Senate Judiciary Committee. All this bill does is extend the right to carry a concealed firearm IF one is licensed to do so in all 50 states, regardless of the state that issued the license. There isn’t really a reason for liberals to freak out, yet they are. This is a small shred of hope for gun owners who seek to exercise their rights regardless of whether or not they cross an arbitrary line. This article was posted in Bill, concealed carry reciprocity, Conspiracy Fact and Theory, Constitutional Rights, Democrats, Firearms, gun rights, Headline News, HR38, Laws, nationwide, North Carolina, NRA, republicans, Richard Hudson, senate judiciary committee, States. Bookmark the permalink. Follow comments with the RSS feed for this post.Comments are closed, but you can leave a trackback: Trackback URL.